This chapter is an overview of the process of Web analytics for Websites. It outlines how visitor information such as number of visitors and visit duration can be collected using log files and page tagging. This information is then combined to create meaningful key performance indicators that are tailored not only to the business goals of the company running the Website but also to the goals and content of the Website. Finally, this chapter presents several analytic tools and explains how to choose the right tool for the needs of the Website. The ultimate goal of this chapter is to provide methods for increasing revenue and customer satisfaction through careful analysis of visitor interaction with a Website. In order to understand the benefits of Website analysis, one must first understand metrics – the different kinds of available user information. Although the metrics may seem basic, once collected, they can be used to analyze Web traffic and improve a Website to better meet its overall goals. According to Panalysis (http://www.panalysis.com/), an Australian Web analytics company, these metrics generally fall into one of four categories: site usage, referrers (or how visitors arrived at your site), site content analysis, and quality assurance. Table 1 shows examples of types of metrics that might be found in these categories. Log File: Log kept by a Web server of information about requests made to the Website including (but not limited to) visitor IP address, date and time of the request, request page, referrer, and information on the visitor’s Web browser and operating system. Prospect Rate: KPI that measures the percentage of visitors who get to the point in a site where they can perform the target action (even if they do not actually complete it). Alignment-Centric Performance Management: Method of defining a site’s business goals by choosing only a few key performance indicators. Web Analytics: The measurement of visitor behavior on a Website. New Visitor: A user who is accessing a Website for the first time. Customer Loyalty: KPI that measures the ratio of new to existing customers. Internal Search: A metric that measures information on keywords and results pages viewed using a search engine embedded in the Website. Unique Visit: One visit to a Website (regardless of if the user has previously visited the site); an alternative to unique visitors. Stickiness: KPI that measures how many people arrive at a homepage and proceed to traverse the rest of the site. Visitor Path: A metric that measures the route a visitor uses to navigate through the Website. Visit Value: KPI that measures the total number of visits to total revenue. Depth of Visit: KPI that measures the ratio between page views and visitors. Search Engine Referrals: KPI that measures the ratio of referrals to a site from specific search engines compared to the industry average. Top Pages: A metric that measures the pages in a Website that receive the most traffic. Unique Visitor: A specific user who accesses a Website. Support/Self Service Website: A type of Website that focuses on helping users find specialized answers for their particular problems. Returning Visitor: KPI that measures the ratio of unique visitors to total visits. Average Time on Site (ATOS): See visit length. Key performance indicator (KPI): A combination of metrics tied to a business strategy. Online Business Performance Management (OBPM): Method of defining a site’s business goals that emphasizes the integration of business tools and Web analytics to make better decisions quickly in an ever-changing online environment. Content/Media Website: A type of Website focused on advertising. Visit Length: A metric that measures total amount of time a visitor spends on the Website. Checkout Conversion Rate: KPI that measures the percent of total visitors who begin the checkout process. Cost Per Lead (CPL): KPI that measures the ratio of marketing expenses to total leads and shows how much it costs a company to generate a lead. Single Access Ratio: KPI that measures the ratio of total single access pages (or pages where the visitor enters the site and exits immediately from the same page) to total entry pages. Repeat Visitor: A user who has been to a Website before and is now returning. Lead Generation Website: A type of Website that is used to obtain user contact information in order to inform them of a company’s new products and developments, and to gather data for market research. Referrers and Keyword Analysis: A metric that measures which sites have directed traffic to the Website and which keywords visitors are using to find the Website. Committed Visitor Index: KPI that measures the percentage of visitors that view more than one page or spend more than 1 minute on a site (these measurements should be adjusted according to site type). Total Bounce Rate: KPI that measures the percentage of visitors who scan the site and then leave. Traffic Concentration: KPI that measures the ratio of number of visitors to a certain area in a Website to total visitors. Average Order Value: KPI that measures the total revenue to the total number of orders. New Visitor Percentage: KPI that measures the ratio of new visitors to unique visitors. Order Conversion Rate: KPI that measures the percent of total visitors who place an order on a Website. Demographics and System Statistics: A metric that measures the physical location and information of the system used to access the Website. Customer Satisfaction Metrics: KPI that measures how the users rate their experience on a site. Abandonment Rate: KPI that measures the percentage of visitors who got to that point on the site but decided not to perform the target action. Visitor Type: A metric that measures users who access a Website. Each user who visits the Website is a unique user. If it is a user’s first time to the Website, that visitor is a new visitor, and if it is not the user’s first time, that visitor is a repeat visitor. 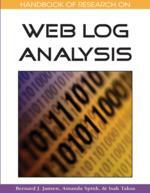 Log File Analysis: Method of gathering metrics that uses information gathered from a log file to gather Website statistics. Conversion Rate: KPI that measures the percentage of total visitors to a Website that perform a specific action. Metrics: Statistical data collected from a Website such as number of unique visitors, most popular pages, etc. Page Depth: KPI that measures the ratio of page views for a specific page and the number of unique visitors to that page. Commerce Website: A type of Website where the goal is to get visitors to purchase goods or services directly from the site.